Our Ulundi accommodation includes a choice of 70 Standard en-suite rooms and 2 Suites. Rooms are bright and modern, styled in soothing tones that draw inspiration from the architecture and landscapes of its Zulu heritage. 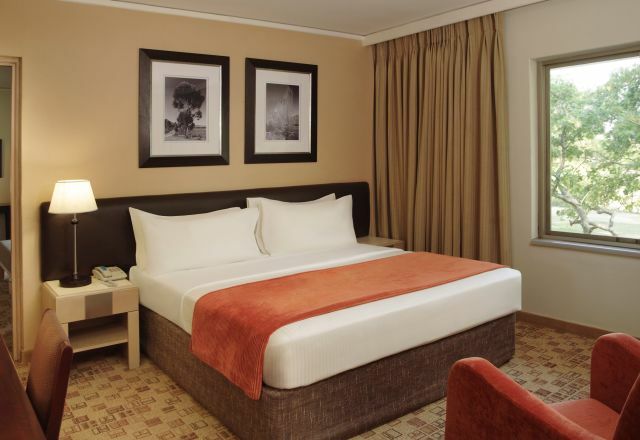 A range of amenities to enhance the comfort of your stay include air conditioning, free WiFi, TV with Mnet and select DStv channels, in-room tea and coffee making facilities and an electronic safe. The added convenience of a porter service, 18 hour room service, and a wake-up call facility further enhances the relaxation of our guests. Our Standard rooms feature two double beds, while our Suites offer extra space and a lounge area, in addition to other comforts. Standard Rooms at the Garden Court Ulundi offer an accommodation option that features two double beds with garden and pool views. 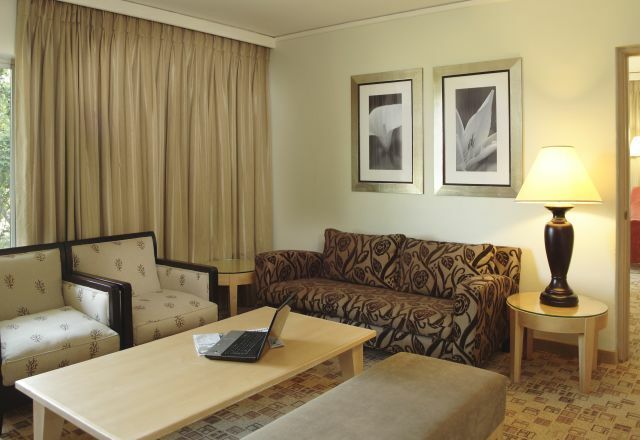 Suites at Garden Court Ulundi offer extra space and luxury touches. Our Suites have a separate lounge with en-suite bathroom with separate shower.